ODS (OpenDocument Spreadsheet) is an open digital document format standard for spreadsheet software comparable to Microsoft's XLSX. 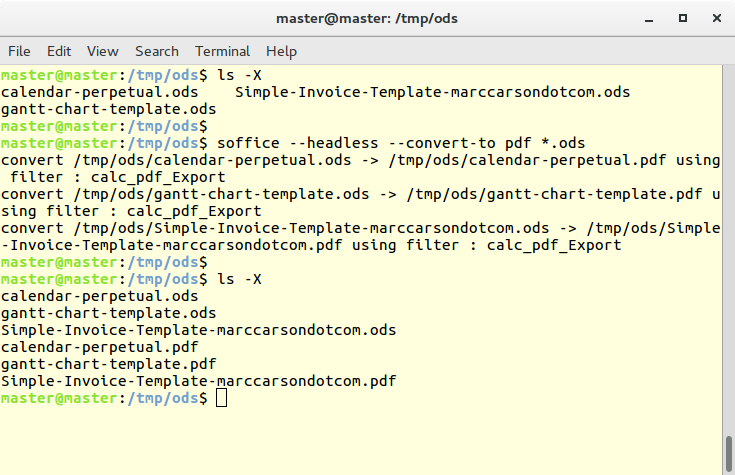 This command showing how to convert multiple ods to pdf files by using soffice console program. 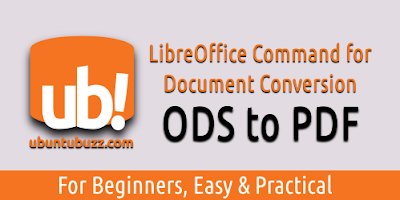 Here, we use some ods files freely available from http://templates.libreoffice.org/template-center. Important note: close all of running LibreOffice GUI windows before using this command, otherwise it won't work. And the conversion result sample is like picture below. 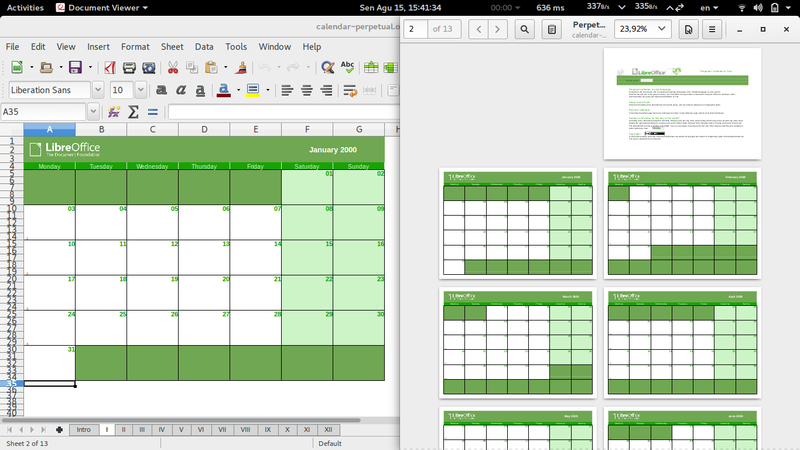 Left = ods, right = pdf.